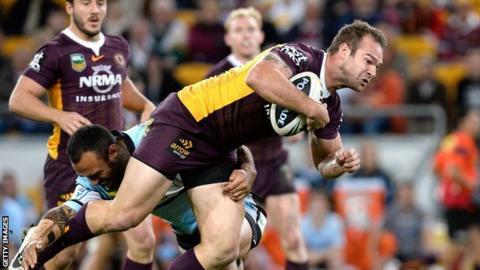 Wakefield Trinity Wildcats have signed Brisbane Broncos prop Scott Anderson on a one-year deal. The 27-year-old won the Grand Final with Melbourne in 2009 before joining the Broncos. He told BBC Radio Leeds: "The talks all took place over the last month or so and I'm really looking forward to the challenge. "The last few years I've had a few injuries and I want to come over here and prove that I can compete."